So no more one-and-one, thankfully. 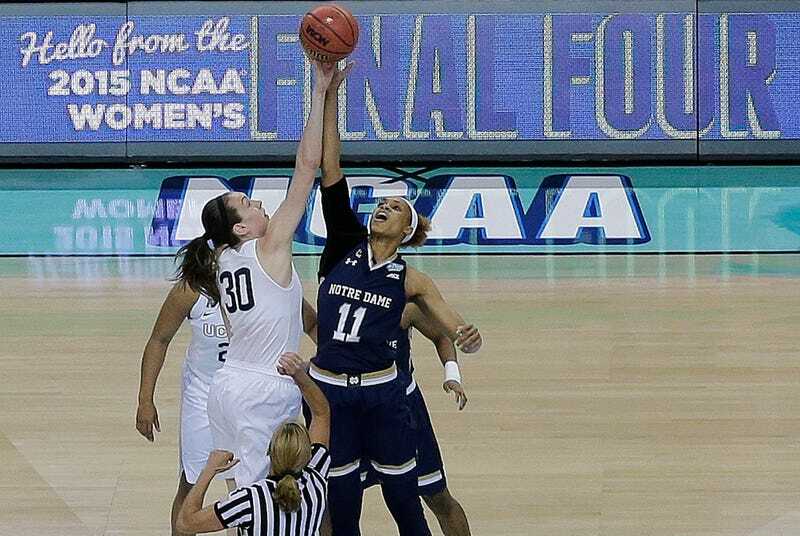 The NCAA hopes that these changes will add excitement to the game. To that end, teams will be able to advance the ball to the frontcourt after a timeout in the final minute of the fourth quarter, or during overtime, which should increase the number of game-winning shot attempts. Additionally, bands or “amplified music” can now play during any dead-ball stoppage, not just timeouts. Finally, in changes seemingly unrelated to the aesthetics of the game, post defenders will be allowed to place “a forearm or an open hand with a bend in the elbow” on the back of an opponent, and the 10-second backcourt rule has been changed in a way that will almost never actually come into play. At its next meeting in a few weeks time, the panel will consider how to change the timeout and TV timeout rules to account for the move to quarters.